Besides creating an updated look, the new grille increases airflow to the radiator, GMC said. The GMC Yukon Denali is getting a 10-speed transmission and a new, multidimensional grille for the 2018 model year, General Motors Canada said on Wednesday. The SUV, scheduled to go on sale this fall, will be offered with optional real Manistique Ash wood interior trim. The 10-speed Hydra-Matic, developed in conjunction with Ford Motor Co., will offer smoother shifting and better fuel efficiency from the carryover 6.2-litre V-8 engine than the 8-speed it replaces, General Motors Canada said on Wednesday. "Yukon Denali has always matched style with substance, and the enhancements for 2018 advance that legacy," Duncan Aldred, vice president of Global GMC, said in a statement. "The foundational elements of exclusive design, premium touches and uncompromising capability have made Yukon Denali an icon for nearly 20 years." Besides creating an updated look, the new grille increases airflow to the radiator, GMC said. There are active shutters behind the grille that close to reduce drag under certain highway-driving conditions. 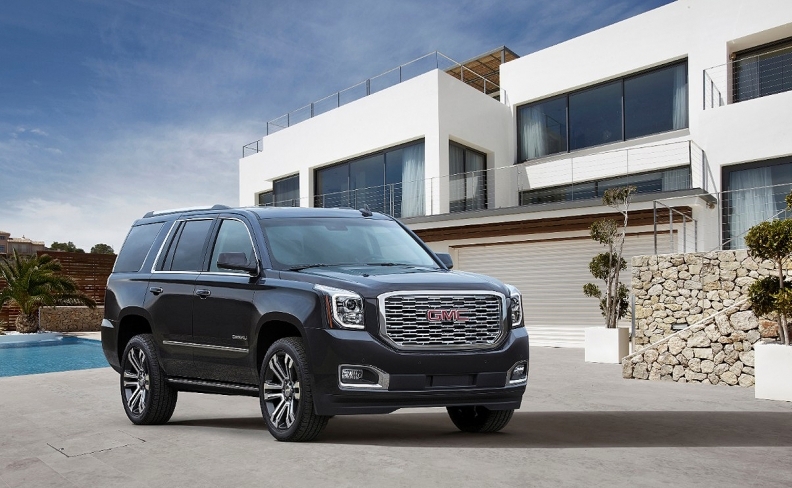 The Denali trim, available on both the regular and extended wheelbase versions, accounts for more than half of all Yukon sales, GMC said. GMC did not how much the 2018 model will cost.